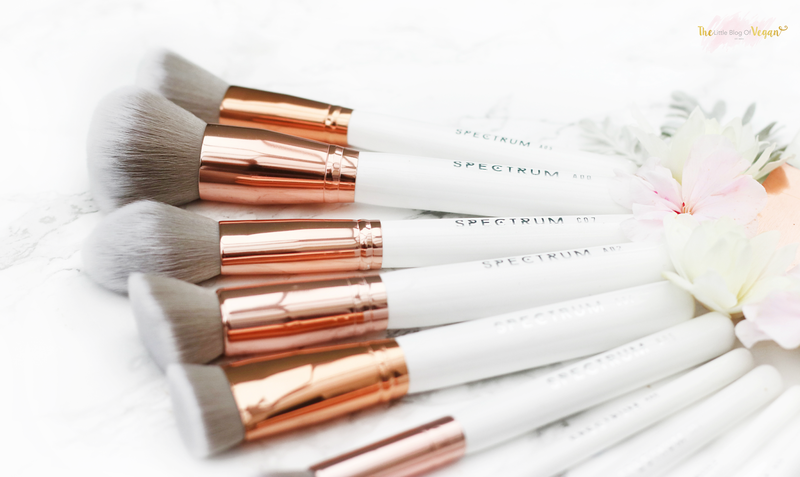 Spectrum Collections have created yet MORE beautiful Makeup brushes to have us all drooling over! 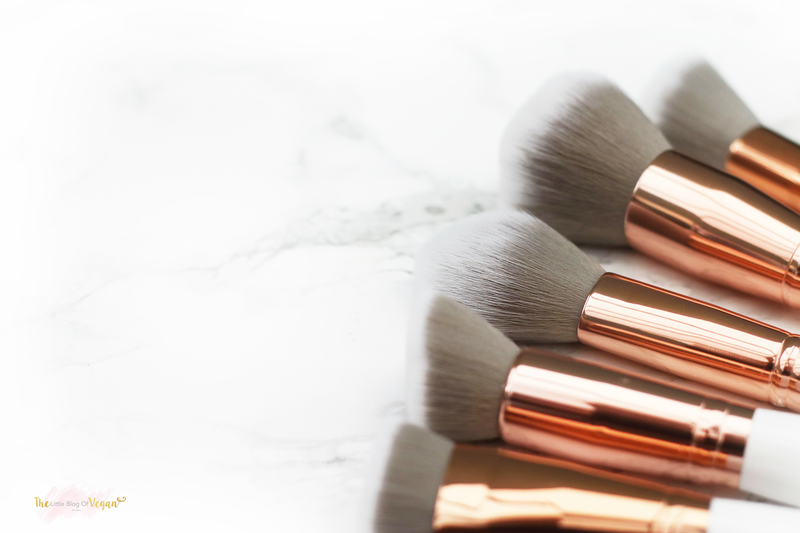 These brushes have been finished off with a White wooden Handle, Grey Bristles and stunning Rose Gold detailing! 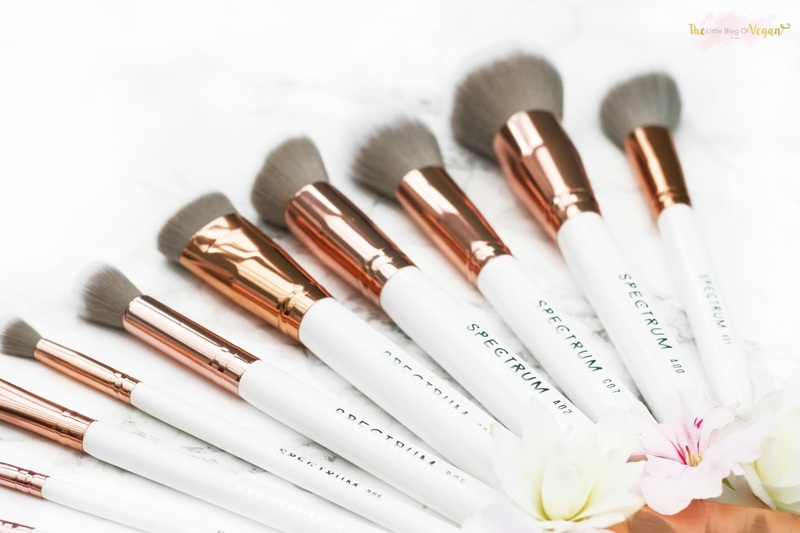 "All of Spectrum Collection’s brushes are hand finished, Vegan and Animal friendly - composed of the highest quality synthetic hair, ensuring the brushes are not only beautifully soft, but also a compassionate choice"
This brush set is beautiful - As you can tell! The Brushes are really soft and feel high quality. There is a range of different brushes for each part of your Face. 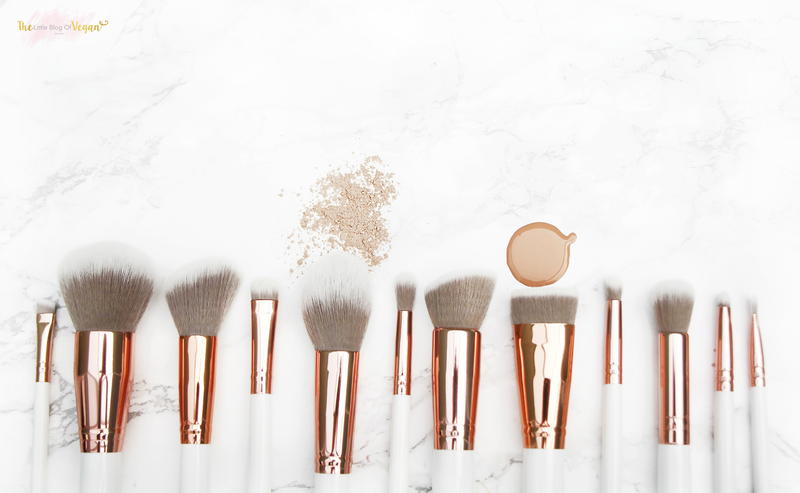 You have a selection of brushes for powder, Foundation, Eyeshadow & Eyebrows or whatever you would personally use them for - The world is your oyster (or shell, get it?)! There is a really nice Flat headed brush (CO2) which is great for Bronzing & Contouring, but i also find it works well stippling my Foundation. I have been loving the AO2 brush for dotting on liquid Concealer. It leaves a really nice smooth finish with no streaks!!! Did you know you can create short links with Shortest and earn money for every visit to your short links.